Ten Tivoli Albergo+ DAB, FM, Bluetooth digital radios up for grabs! | What Hi-Fi? Ten Tivoli Albergo+ DAB, FM, Bluetooth digital radios up for grabs! 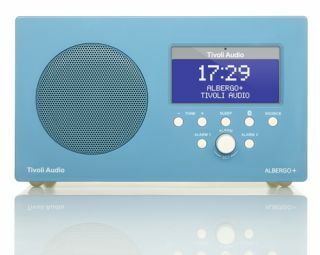 The Tivoli Albergo+ digital radio is now available in five colour options, and we have two of each version to give away in graphite, white, blue, green and red. This compact and stylish system is equipped with DAB+/DAB/FM RDS radio tuners as well as Bluetooth A2DP wireless streaming capability, so you can play tunes from your PC, smartphone or tablet through the system. It also has a dual alarm function, sleep timer, remote control, aux input and a headphone socket. And if you want to turn it into a full stereo system there’s an optional (£79) add-on speaker. Sound is reproduced by the same 3in, full-range, long-throw driver as used in the Tivoli Model One table-top radio. And there are EQ settings to adjust the bass, treble and switch loudness on or off. To enter, simply go to our competition page and submit your answer.